My Student Logbook is owned by a homeschooling family. 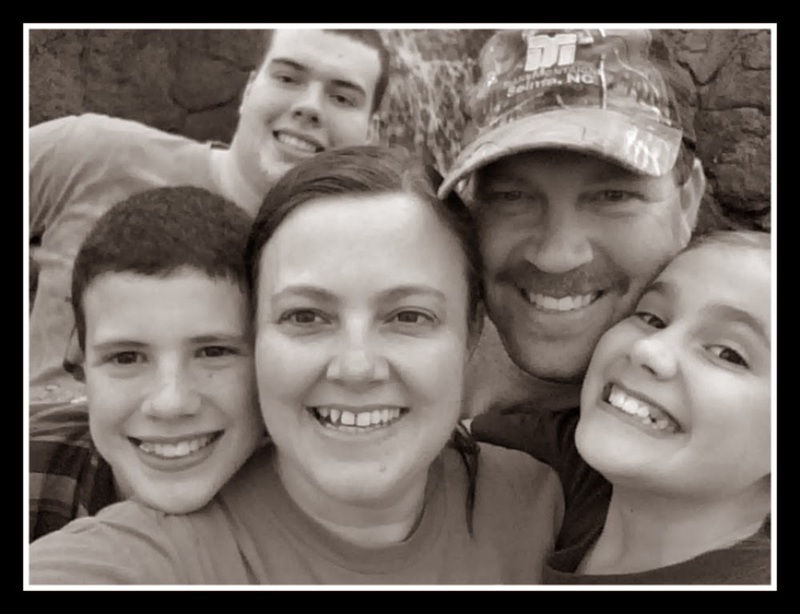 Who better to realize what a homeschooler might need? They have designed a unique and straightforward daily student planner that is now on our all time favorite list! If you've been reading here long, you know I have a love of planners and organization. I have set my children up with checklist systems since they were old enough to read and the boys might not admit it openly but my daughter will tell you that she too loves planners and checklists! 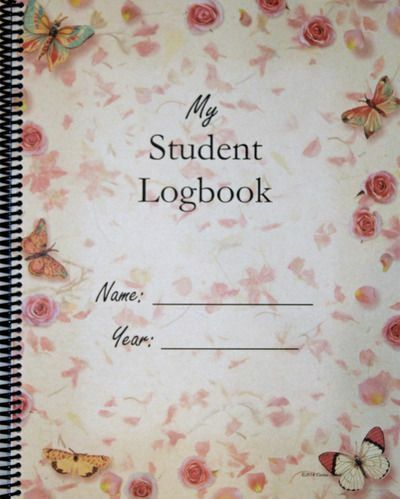 There are a variety of choices available in the My Student Logbook collection. We choose the butterfly version dated with the school year. I love the options of different covers and dated or undated versions to choose from. You can see the different covers here. The planner is a 8.5″ x 11″ book with black spiral binding. The front has a heavy clear plastic protective sheet and the back has a heavy black plastic cover. It is recommended for 2nd grade and up. Each student log book sells for $15.00 and can be purchased here. There are also downloadable options available. The following is a list of what is inside your planner. This planner is extremely simple to use. 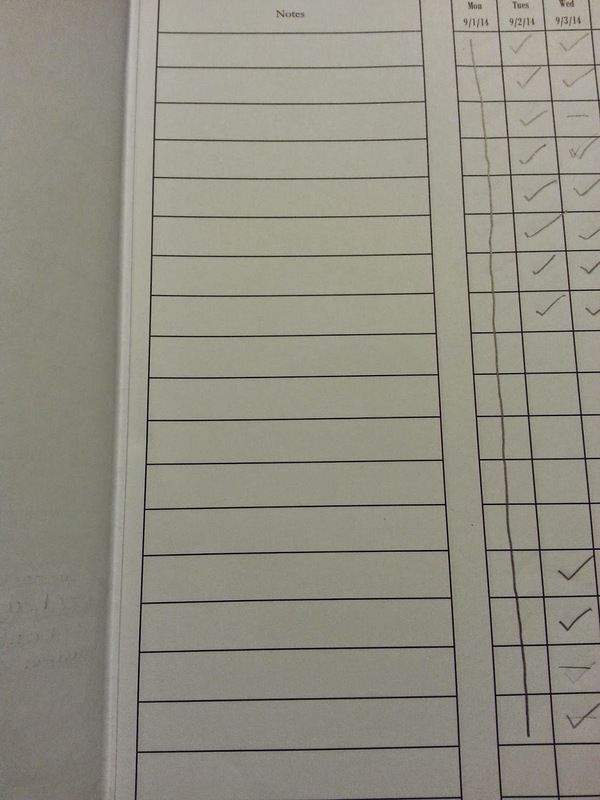 You begin by cutting the checklist section out of your book and taping it to align with your dated daily boxes (undated versions are also available). 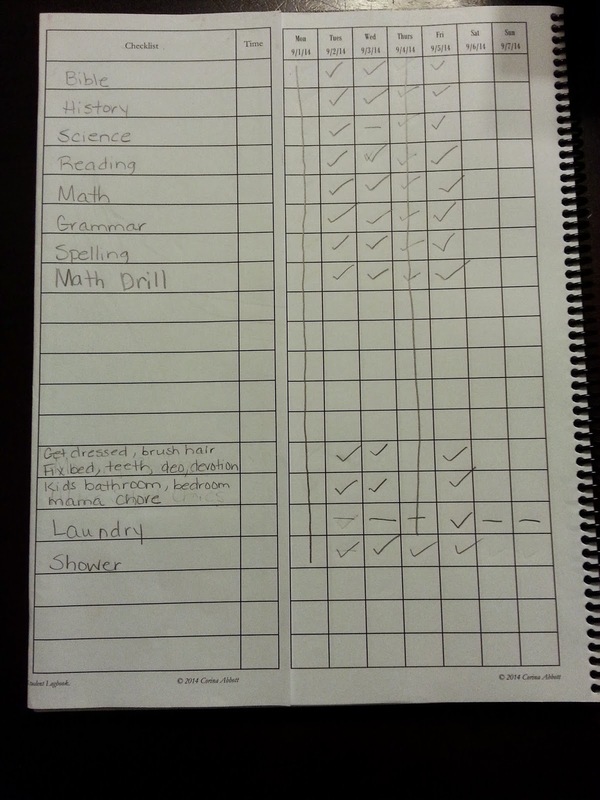 Then on the left side, you fill out the tasks (subjects and chores) for your student to complete. The checklist section flips open allowing you to have a place for notes inside it. The beauty of the planner for me is your checklist can stay the same every week and all you do is slip your date page under the checklist and everything is contained nice and neatly. You have several checklist pages available so you do have the option of changing your checklist page if you need to. Here are video and pictures explaining the steps to take to set up your student planner. Sarah, who is eleven, pretty much set this planner up by herself. She mostly uses it to keep up with her school work so she mainly uses it Monday-Friday only. She did have me include a few of her daily chores so she could check those off too. In this picture, you can see where we have lifted the chore flap and underneath is a section for notes. You could put the Lesson number there if you wanted. You could also have your child put their grades in the check boxes instead of checks if you wanted. We don't have a lot of grades yet with her so the check marks worked great for us. 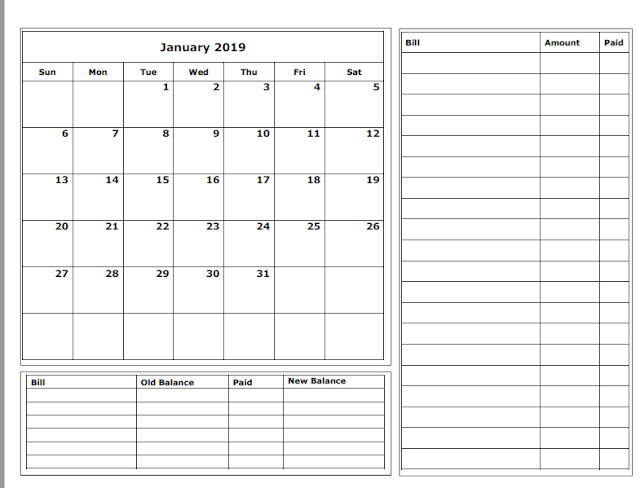 Again, you can see that this is a simple and uncomplicated planner. We think that is the beauty of it! Sarah had no problems setting it up herself and it really made her feel even more in charge of her studies and chores. That made me one happy mama! You can also find My Student Logbook on Facebook and YouTube. Be sure to check out what my fellow crewmates thought about My Student Logbook by clicking the banner below.